Naval personnel attached to the Eastern Naval Command together with Trincomalee Police recovered a cache of explosives during a search conducted in the beach area of Erakkandi, Trincomalee on Wednesday. During the search, the troops found 14 non-electric detonators, three water gel sticks, four chargers and a safety fuse of 1 1/2 feet. The stock of explosives was handed over to Trincomalee Police for investigation. 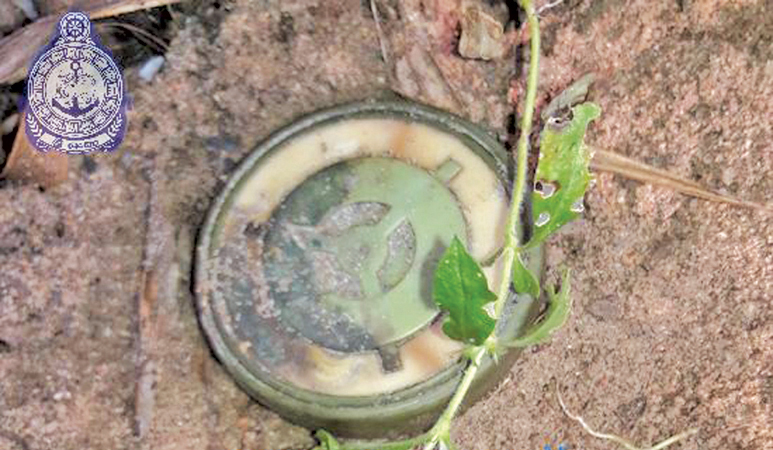 Meanwhile, a group of naval personnel of the same naval area recovered a pressure mine of corrosive condition, during a search conducted in Kokilai in Pulmodai. Having taken it safely to the naval base, SLNS Ranweli, the mine was defused.